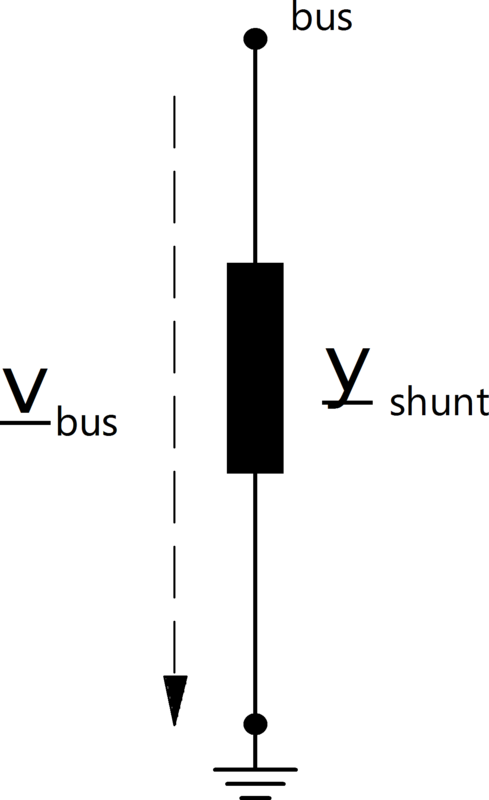 p_kw - shunt active power in kW at v= 1.0 p.u. q_kvar - shunt susceptance in kVAr at v= 1.0 p.u. Creates a shunt element representing a capacitor bank. p_kw* float \(\geq\) 0 shunt active power in kW at v= 1.0 p.u. q_kvar* float shunt reactive power in kvar at v= 1.0 p.u. in_service* boolean True / False specifies if the shunt is in service. *necessary for executing a power flow calculation. with the reference values for the per unit system as defined in Unit Systems and Conventions.